Preheat oven to 350 degrees F and grease and flour a 10 inch Bundt pan. Combine cake mix, eggs, instant vanilla pudding, water, oil, almond extract, and 2 tablespoons of the amaretto; blend together well in a large bowl. Pour batter into the prepared pan. Bake in preheated oven for 50 minutes, or until a toothpick inserted into the center of cake comes out clean. 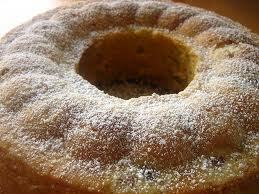 Remove cake from oven and while it is still warm, poke holes in the surface. Drizzle with the Amaretto Glaze, insuring that some of the glaze fills the holes. 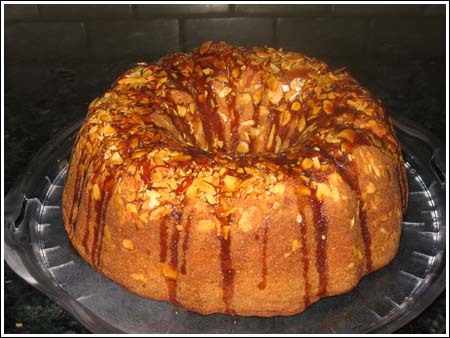 Let the cake cool for at least 2-3 hours before removing from the pan.